Regardless of what persona he happened to be dressed up in at the time, David Bowie always seemed like a character straight out of a 1960s sci-fi paperback. That aesthetic, and a general love of all things Bowie, inspired a new series of prints from screenwriter-turned-graphic artist Todd Alcott, in which the glam rocker’s greatest hits are reimagined as pulp novels. Alcott recently spoke with Open Culture’s Ayun Halliday about the series, which is available for sale on his Etsy page. “During a time of my life when I felt incredibly isolated and alone, [Bowie was one of] the key artists who made me feel like I was part of a bigger world, an artistic continuum,” Alcott tells Open Culture. 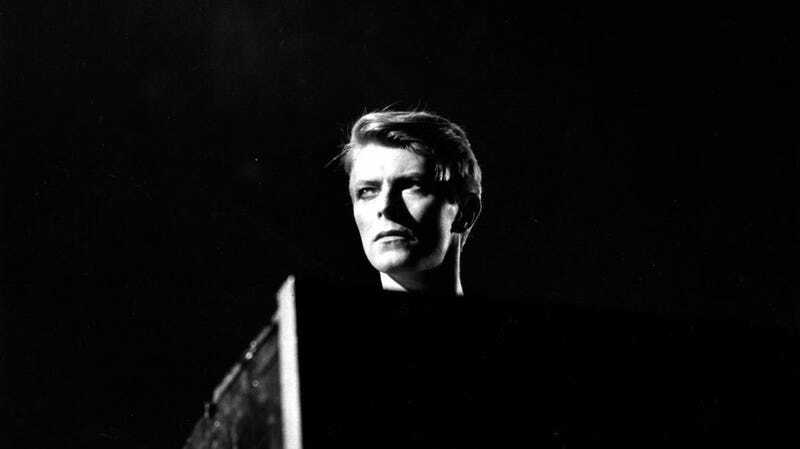 This emotional connection to Bowie’s artistry explains why the singer shows up again and again in Alcott’s cultural mash-ups, which have featured artists new and old, from Joy Division to Courtney Barnett. The attention to detail in the Bowie pieces—including snippets of lyrics in the pull quotes and the fact that “Heroes” is the second installment of the “Berlin Trilogy”—further prove how close these are to Alcott’s heart. Now all we need is someone to pen full novelizations to go along with these gorgeous covers and our trashy rock library will be complete.